Team: John R, John W, Karen, Julie, Nicola P, Greg, Craig, Caroline, Nicola, Debbie and David O. This area gave us a chance to test out our new wellies and we believe it was successful, apart from Caroline and Nicola who came in trainers. Oops. 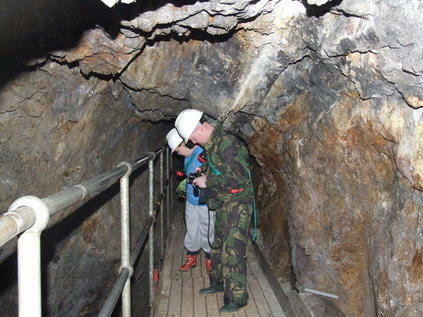 We all also put good use to our hard hats with much amusement when many heads were getting caught on the jagged tunnel roof to reach our first area. Upon arrival we commenced with doing a protection circle. David then started calling out. We had dripping water inside all areas of investigation. Caroline and Nicola had camera battery failure, which they then replaced. Debbie felt a draught on her left arm. John R asked about possible causes. John R then picked up on the name Anthony/Ant. Debbie then heard a noise down the tunnel, David asked them to make themselves known but we heard nothing. Debbie then saw a small glowing light, which turned out that Julie's new torch glows in the dark. Julie was unaware of this and promptly placed it inside her jacket. John R then picked up on an accident and asked if explosives had been used, one of our cave experts said almost certainly, John R then started coughing frequently; he had been fine until arriving in this area. He also picked up on items being stored for safe keeping in the WW2. We each introduced ourselves to any possible spirits in the area, John R then described seeing a spirit with long ginger hair and beard and appeared to be wearing some kind of sacking and fur type boots, he also got the name Adrian, but unsure if this name was linked with this person. We finally turned on our lights and moved onto the next area. Firstly we crossed a metal bridge. A member saw a light from the tunnel we had just come from, as we were all together we could not explain the source. Julie had camera battery drain and replaced them, they were new at the beginning of the investigation, she also had to replace them a second time later on. We then reached our next area after crossing an old wooden bridge 2 at a time for safety reasons. David again started calling out followed by Debbie, we had no reply. John R could hear people talking down the tunnel; we were all in area 2. All team and cavers where accounted for. Nicola P picked up the name George and John R felt he was poked in the back and got the name Henry. We then each introduced ourselves again. It remained quiet so we decided to leave the area for a break. 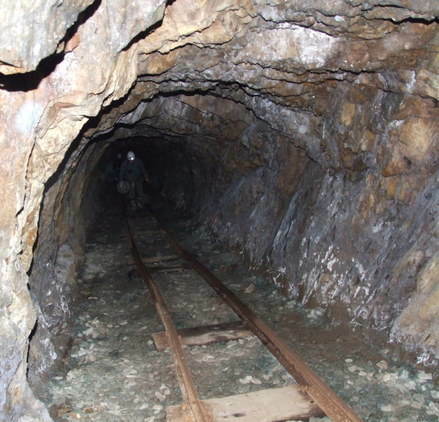 This was a small separate tunnel with a deep shaft at the end, we were able to stand over this shaft as it was covered in metal grid flooring, we were informed that this shaft went approx 200 mtrs down. but didn’t think it was linked to a cave-in. David again started calling out and again we all introduced ourselves to any possible spirit. David also tried knocking and asking them to copy. John R picked up on the name Andrew or Andrews (possible first name or surname) and then a Benjamin. 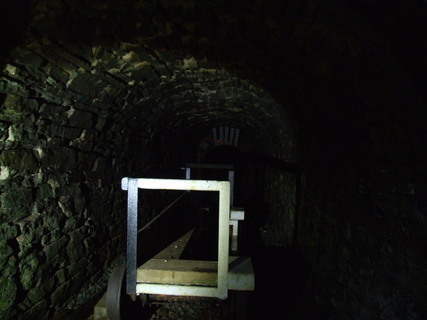 A rumbling sound was heard a couple of times coming from a lower shaft. Julie's voice recorder suddenly started playing the previous vigil, she had not touched any of the buttons, she could not turn it off, only by removing the batteries did it stop. When replacing them the recorder was fine. We then did a human pendulum with Caroline in the middle of the circle. Debbie got the name Tom or Thomas. John W also got the name Henry. Various questions were asked, Karen asked if there were others that had died with this spirit, the reply was yes, also that they did not pass over straight away. Debbie noticed that Caroline’s face appeared to be changing and becoming older. When asked Caroline said she was sensing that they were frightened. John R then enquired if the workers were taken down in a bucket/cage type system, and were told most probably. 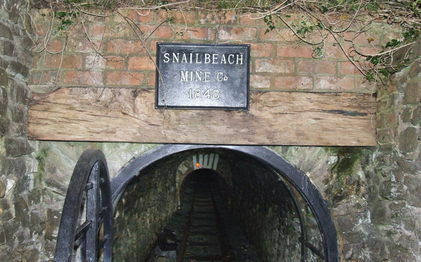 It then transpired that there had been an accident involving this when the cabling/chain of the winch broke which sent men tumbling down the shaft, John R thought it was what he was picking up at the entrance to the tunnel. In a paranormal sense the evening had been a quiet one and not as active as hoped. Nevertheless an enjoyable night was had by all. Hopefully a return would be recommended in the future. Many thanks and our appreciation must go to the expert cavers/rescue team for making it an enjoyable experience all of which was done in their spare time. We hope you enjoyed it too.